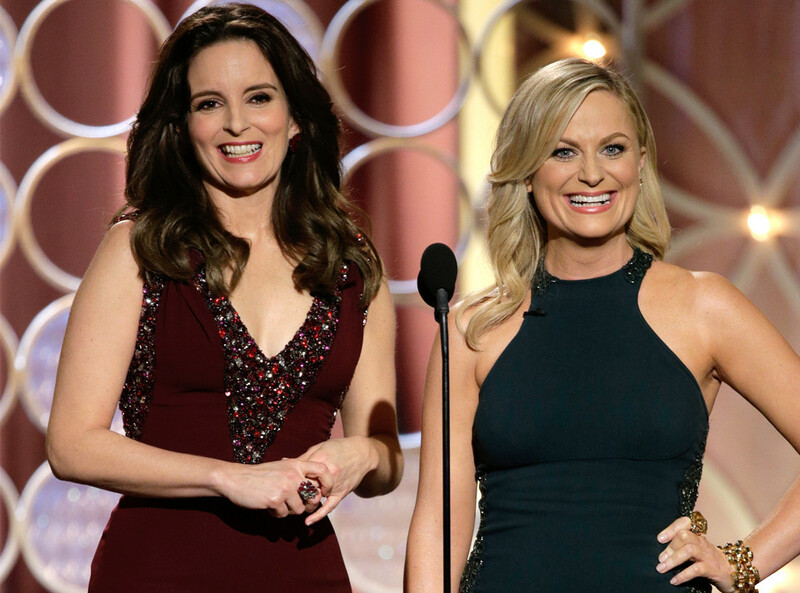 Thank you, Tina Fey and Amy Poehler, for once again providing an evening filled with humor, truth, wit, and insight at the 2015 Golden Globes. I oftentimes get bored during awards shows, especially when I haven’t seen most of the fare which has been nominated, but last night kept my attention for the entire three hours. Part of it was that gifted duo of hosts, part was watching with my teen daughter and explaining things that were out of her realm of understanding (and hearing her talk about how lucky Fey and Poehler’s kids were to have the coolest moms anywhere – no offense taken on my part), but the biggest part for me was the affirmation of people who were not considered mainstream being celebrated in Hollywood. Heroes – not as outsiders, interlopers, immigrants, undocumented, unwanted, a drain on a white nation of heroes modeled after John Wayne. Heroes. One of the best parts of the Gospel message is that Jesus was an unexpected hero. He hailed from the backwoods of Galilee, born of unwed parents, lived in poverty, hung around with some dodgy sorts, and angered the righteous, upright citizens who had all the power. He came for the outcasts – the ones neglected, abused, or cast away by good society. He came for those who lived on the fringes, denied access or acceptance. He confided in and trusted people who were seen as unworthy or unimportant – women, non-Jews, puppets of the Empire, lepers, and so many more. Jesus told each person they were a special child of God, loved by God. He told them they were meant to be a hero. One thing I love about my job is the great diversity of the young women with whom I work. I am thrilled to see a young Latina woman, the first in her family to go to college, realize she can be a hero. Even if she still gets mistaken for a maid when she stays at a hotel to present a paper for an academic conference, even if some men only want to talk about her body, even if people assume she is undocumented – she is a hero, and she will inspire me and countless others. Thank God for the heroes, and for the ones who teach me everyday. This is truly a theological issue. Before serving a women’s college, I worked on a state campus for a number of years. For several years, our ministry hosted a panel discussion – “Was Jesus a Feminist?” Yes, I realize this is an improper question. It’s taking a fairly recent construct and applying it to a Jewish man from the backwoods of the Ancient Near East. Yet, in these discussions we looked at how Jesus treated women. And the fact was, he treated them in a manner that was revolutionary. In a patriarchal world that left women at the mercy of men and denied them opportunities for growth and enrichment, Jesus included women as some of his closest followers. He continually affirmed the presence and participation of women in his movement, both in words and in actions. I love movies. I love entertainment. (And I especially love Tina Fey and Amy Poehler.) And I would love even more to see images of women in Hollywood that are real, empowering, active, and transformative. If a preacher from the wilds of Palestine changed the subject 2000 years ago, we can too.